Explore Azumino’s Glass Art through Bead Craftwork. 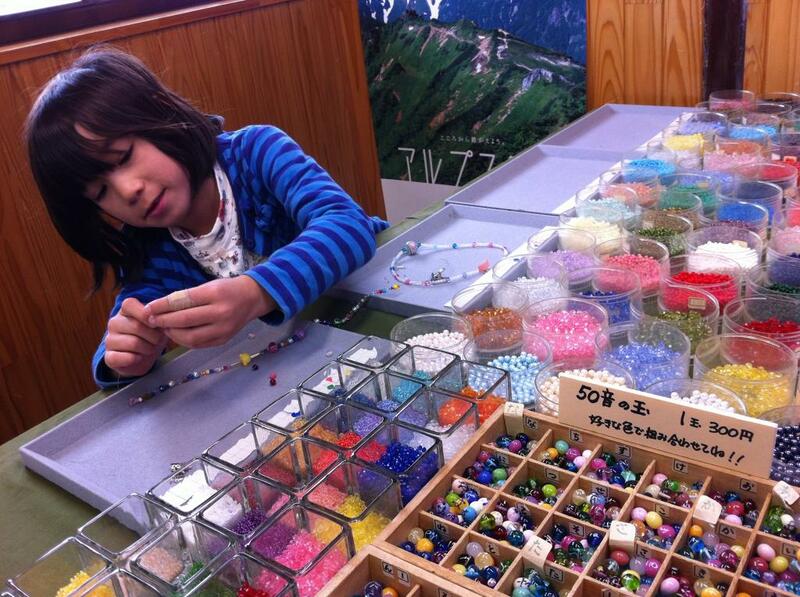 Work with glass beads at the Tombodama Gakusha glass bead workshop, and see how the clear beauty of glass artwork was inspired by the crystal clear waters and pristine mountain air of Azumino. Glass beads have been around since ancient Egypt. In Japan, they have come to be associated with Azumino. Known for art museums and wasabi fields, Azumino boasts clear water (snowmelt from the Northern Alps provides the pristine water needed for growing wasabi at the nearby Daio Wasabi Farm) and clear air, and has adopted glass art as a cottage industry symbolizing the clear beauty of the land. With many workshops specializing in both blown glass and burner work, Azumino once even had a museum of glass beads making this one of the leading areas for glass work in Japan. That spirit lives on at the Tombodama Gakusha glass bead workshop. Visitors can try their hand at burner work, melting special glass to make their own unique bead, and/or arranging beads to create an original glass bead accessory. Experience the mesmerizing beauty of glass beads in this quaint shop under a chestnut tree located in "Azumino no Sato" along with a soba shop, photography museum, waterwheel, glass blowing shop and bathhouse. 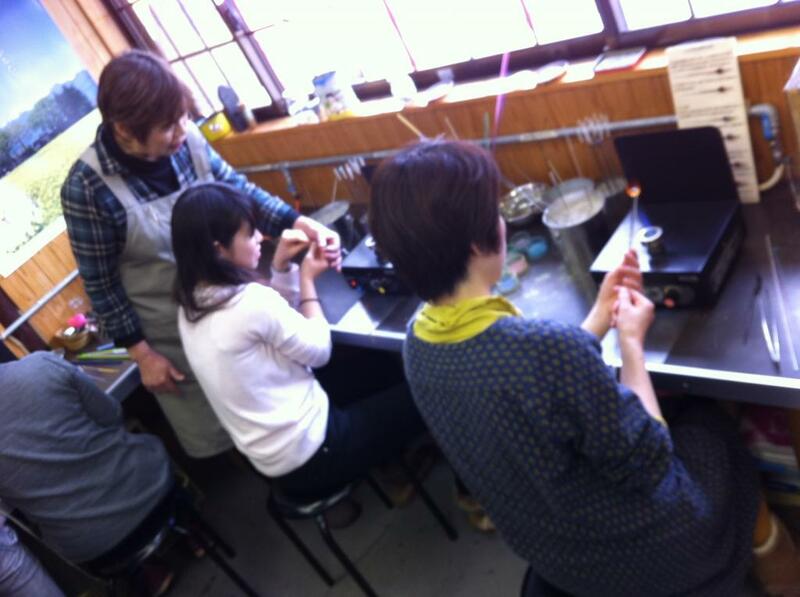 Glass bead making (using a burner) from 900, Accessory making from 1,200 yen. Staff does not speak English, but they are accustomed to carefully teaching the techniques to non-Japanese speakers and the product and pricing displays are easy to understand. Glass blowing shop in the same complex for people who would like to try that, also. From Hakuyacho Station(JR Oito Line), Walk east 1.5 km (20 min.) 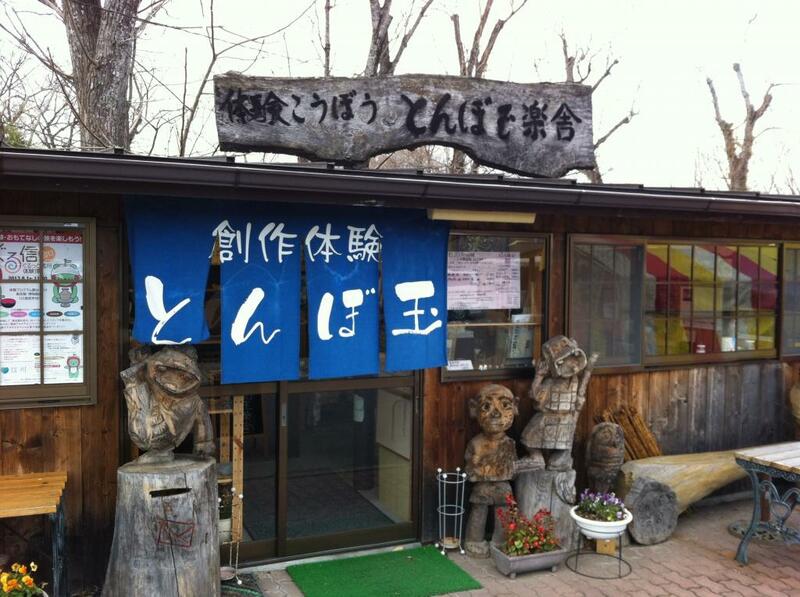 along Route 309/310 and you will see the Azumino no Sato on the left. From Azumino IC, Follow Route 310 four kilometers to Azumino no Sato complex (approx. 5 min.). Wasabizuke-Making Lesson at Daio Wasabi Farm : Tour the Wasabi Farm and Learn How to Cook with Wasabi. Clear Bottom Boat Ride in Azumino : Ride a Boat down a Spring-fed Stream past Romantic Waterwheels. Appreciating Ukiyoe Wood Block Print Art : Rotating Displays of Japan’s Largest Collection of Ukiyoe Woodblock Prints.